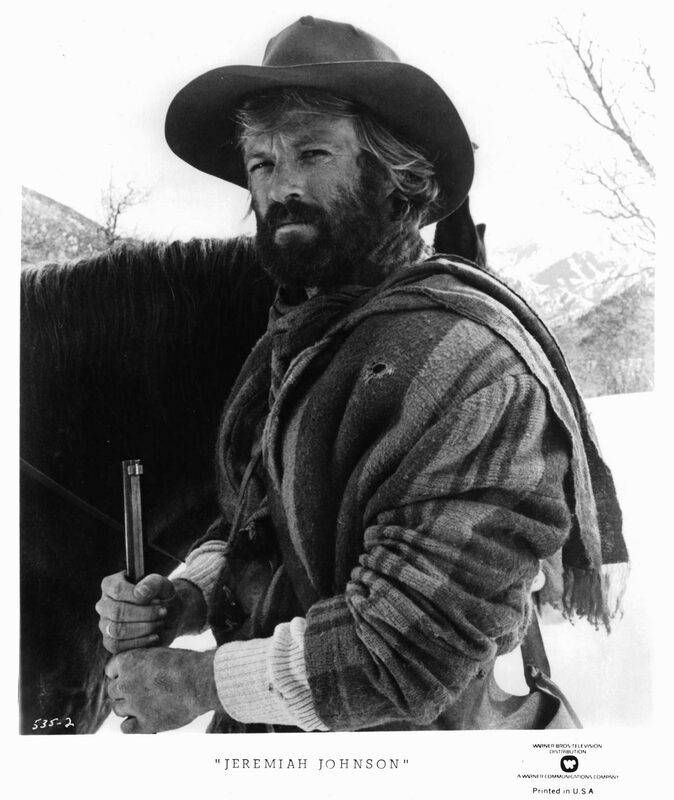 Though there is, as often the case, a hand-changing production history behind the picture (at one point Lee Marvin was attached, then Sam Peckinpah with Clint Eastwood), Pollack’s exquisite, contemplative Jeremiah Johnson seems a fitting follow up after the entombed lives and one-room dance hall of They Shoot Horses, Don’t They? The vastness and, at times, heartbreaking beauty of the Rocky Mountains (shot in Utah) is what many of the Horses dancers might have imagined as they draped themselves onto one another. Gloria’s death, her final shot in the head, is met with a fantasy image of her collapsing outside on an expansive soft field. Nature. Freedom. 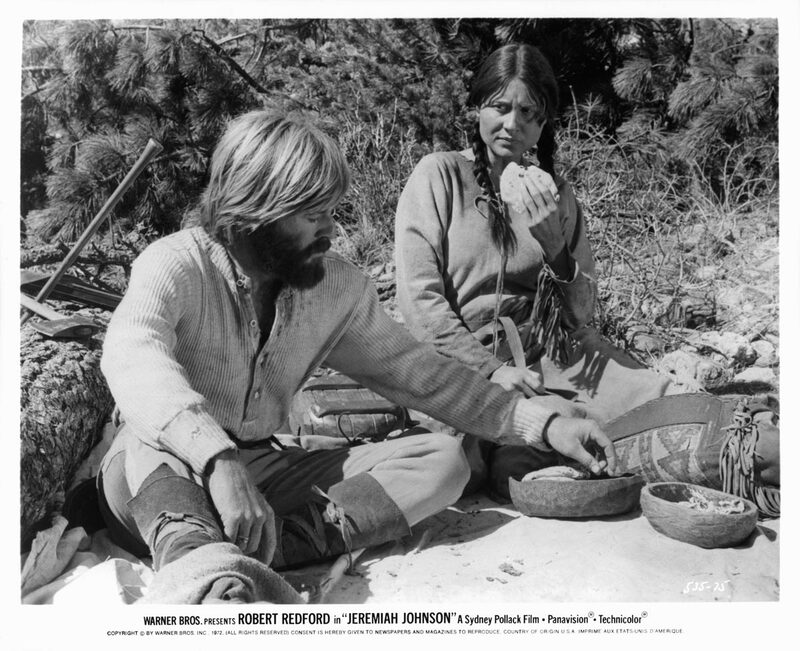 But for a man leaving civilization, Jeremiah Johnson proves that freedom isn’t easy. Or as Gloria might say via Kris Kristofferson: freedom’s just another word for nothing left to lose. 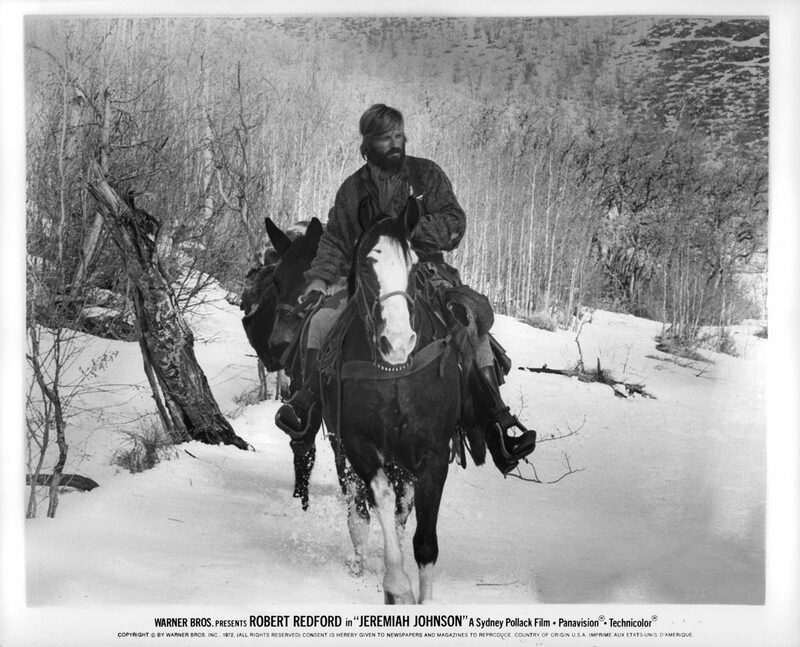 You’re not sure where 1850’s mountain man Jeremiah Johnson (Robert Redford at his most understated and poetic) falls on that idea — what’s at stake — until he loses everything he finally cares about. But then freedom turns to anger, and vengeance is a trap in itself. He feels so angry at times that he seems angry he’s even alive. Like Gloria. And it is a wonderful performance. 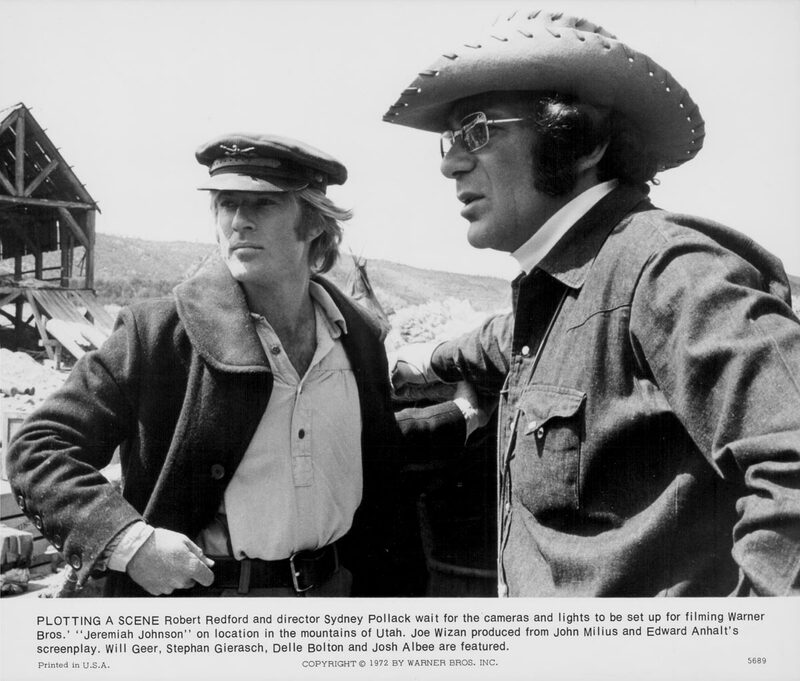 Much of this film is watching rugged, enchanting Robert Redford – catching fish in a stream, coming across a dead frozen man in the snow (a bracing, strangely beautiful scene), mentoring with Will Geer’s “Bear Claw,” communicating with Native Americans, falling in love with the Native America wife he didn’t ask for and the son he accidentally inherited – and like Pollack’s dancers of Horses, we move along with him, fixing on his face and actions and even refocusing as the changes happen throughout his journey – his journey to… somewhere. We’re not sure where. When he settles down with his wife (she’s a gift from a tribe) and adopted son, he domesticates himself somewhat, builds a cabin, hunts for food and, for a time, seems content. He wasn’t expecting a family but he rolls with it and feels a connection. This requires little dialogue on Redford’s part, he’s so persuasive – you can see it in his eyes, his understated gestures and inner turmoil. When he feels attraction for his new wife (whom he’s gentle with), he simply holds her closer. It’s a small moment that’s more romantic than a kiss. When he asks her why her chin is red, she points out his beard – the look on his face tells you what happened, how close they’ve become. It’s a lovely scene. In these tender moments, I thought of Peter Fonda’s also elegiac western, The Hired Hand and Fonda’s sensitive, skillfully internal performance in which the wandering man returns home to the wife he left behind, only to take a chance and shatter that life again. 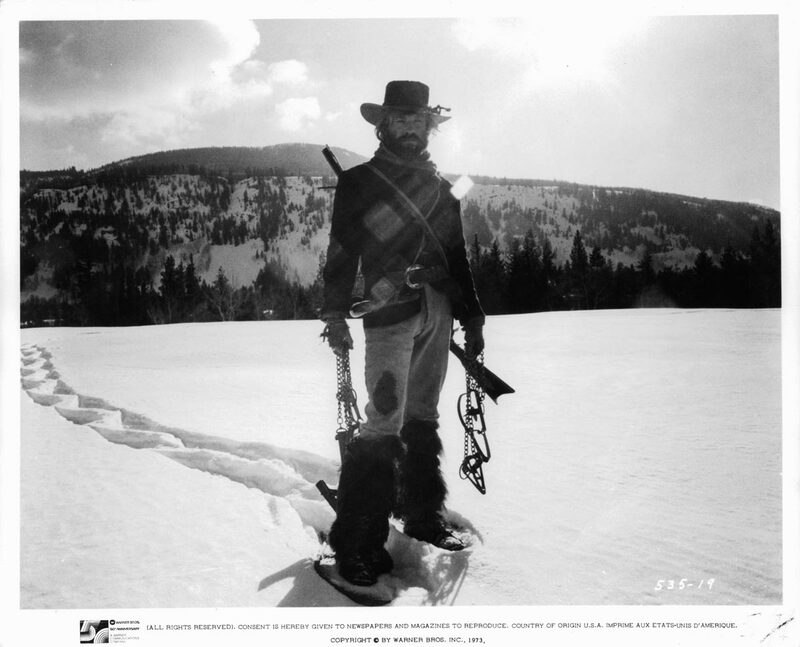 In Jeremiah Johnson, home finds him. And then his home is destroyed. When his wife and child are killed by the Crow Indians (against his own warning, he helps the U.S. Army Cavalry save stranded settlers – they travel through a sacred Crow burial ground – and that creates murderous ire), Pollack gives Redford the time to grieve. The movie lingers on his face overpowered by sadness, but with subtly (there is no moment of grandstanding in this performance) and we take in Redford mourning and thinking, the cabin shading from light to dark to light (the picture is gorgeously shot by cinematographer Duke Callaghan). After that melancholic moment, the lonely man has to move on. He walks out of the cabin and burns it to the ground. That life is over. His new life begins, and it’s a violent one. He starts killing. Is the vengeance so sweet? No, it is not. 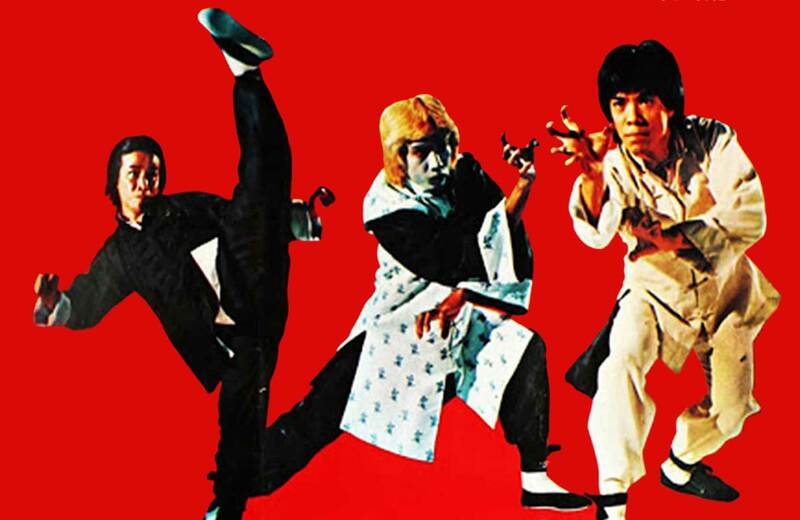 It is out of survival and anger, and this somewhat peaceful man who once protested undue violence becomes a blood-soaked killer (the liver eater of the inspiration) and quite good at it. He’s both feared and respected, a living myth. It doesn’t come as a surprise that there’s a rampaging murderer inside this man – that’s not the point, we’re all potential killers – and the scenes play out exciting, but also terrifying and cynical (forget any hint of Thoreau’s “Civil Disobedience” nonviolence business). But to Pollack’s credit, how we’re to process this is left for us to deliberate. Bloodlust does not seem to be the answer to anything here. What is the answer? Pollack seems well aware that watching Native Americans slaughtered in movies is not as satisfying nor as easy as some westerns would show, but he also doesn’t flinch from the violence and the momentary satisfaction of killing for vengeance. It’s purposely muddy – he’s not a hero. Pollack originally wanted the ending to be more like They Shoot Horses, Don’t They? – with death. Johnson was to freeze to death. Another way out, another escape — a victim of nature, both spectacular and unforgiving. Instead the movie settles for something that’s not as tragic – mystery. This is not Gloria, whom, in spite of her death wish, we so want to live. 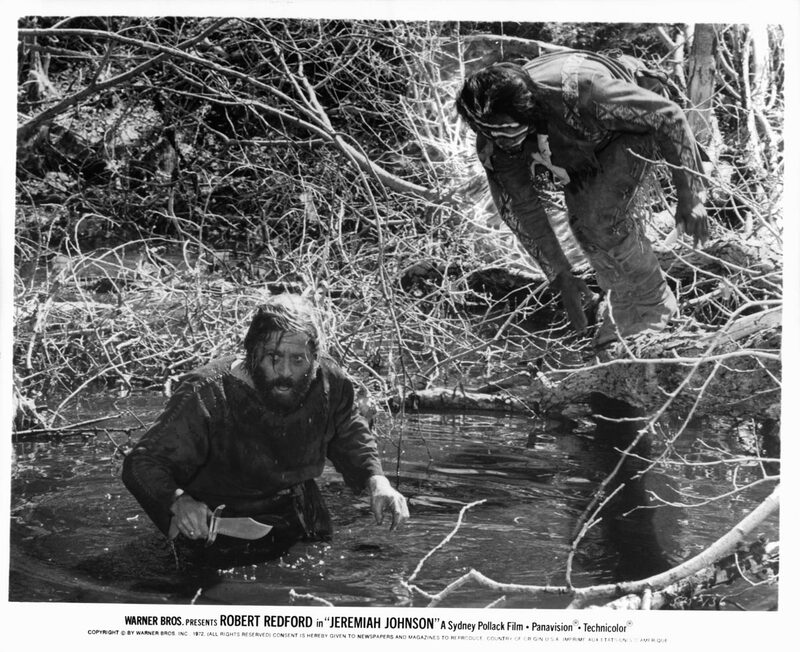 And, so too with Jeremiah Johnson’s murderous death obsession, we want him to survive. But perhaps the picture’s finality is, in fact, scarier because it settles on ambiguity – a big question mark. Johnson and the Crow Chief exchange a respectful, possible moment of peace. How is that going to work out? In this big bad beautiful world? We don’t know. They don’t know. Perhaps we should ask Gloria Beatty.